Do you remember when you made your first bag? 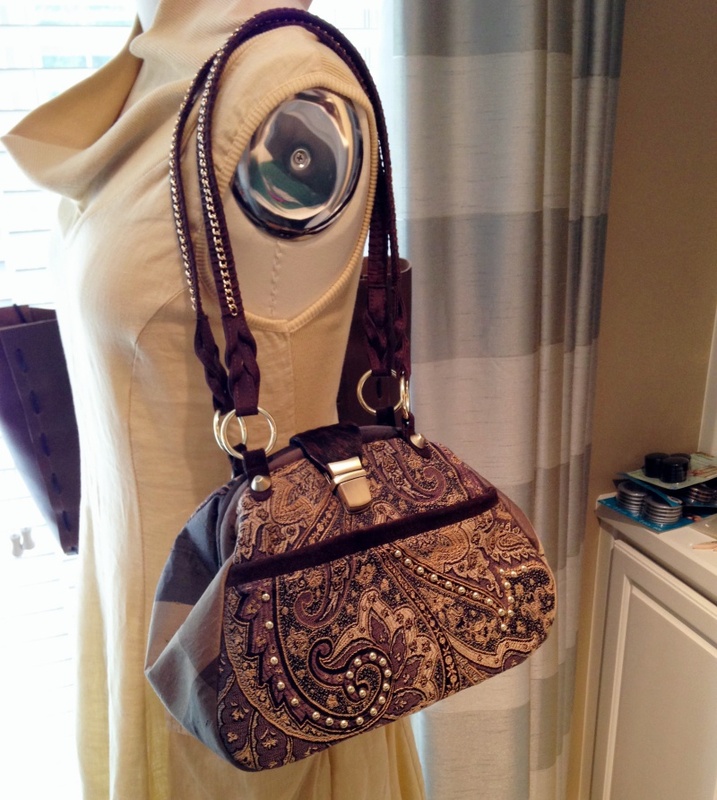 Karen Hawkins sent us photos of the first two carpet bags she made and the story behind them. "The story about the bag is just this", Karen says. "I had only made a couple of bags and wanted to learn more about purse making so I joined your club. 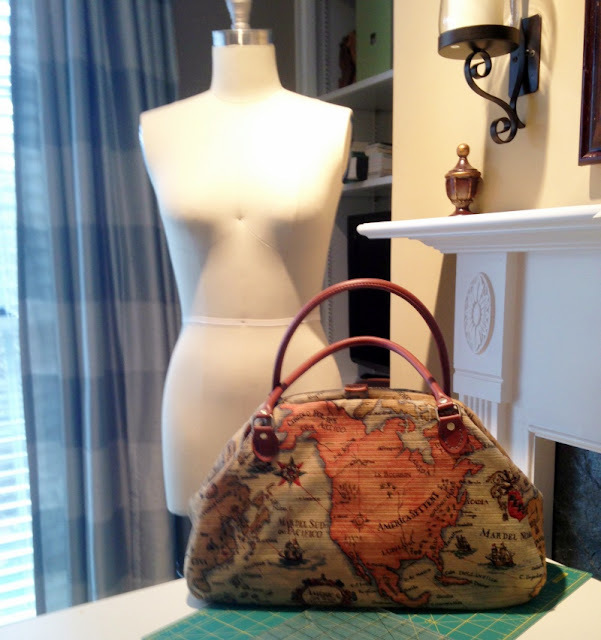 This was the first purse I made." "For making this bag, I used a corduroy fabric I had used to make a bed cover for my young son (he was about nine at the time, he is 30 now). I thought the map fabric would be great. I also trimmed the front pocket with some leather I had, making a piping. 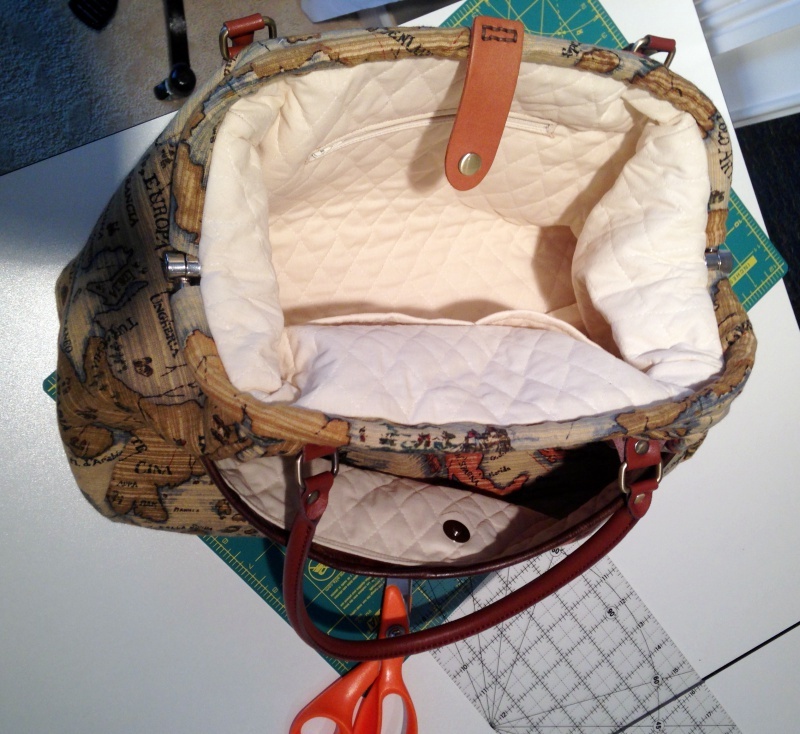 I lined the purse with a quilted fabric to give the bag a more substantial feel"
I asked Karen what she thought about the carpet bag instructions and whether it was difficult to sew as a first bag. "It was so simple with the great instructions and pattern that I have made many more bags since then. I also made a small version that one of my friends bought from me as soon as she saw it. " "Most of the bags I have made were made with remnants of fabric I have from sewing home decor stuff for years", Karen says. "I hope you can use the pictures to inspire others because I love making bags and continue to sew them." Well, I, for one, am inspired by Karen's makes. What about you? @Karen, I didn't have any links from you, if you have a website or Facebook page I could link to, please let me know!